To begin with, any word with “itis” tacked on at the end refers to an inflammatory state. So in this case, epicondylitis refers to inflammation of the epicondyle, which is the bony part on the outer (lateral) part of the elbow. This bony prominence is the muscle attachment site for most of the muscles that extend your wrist (like accelerating a motorcycle). This can be a very painful, annoying and down right frustrating ailment that can last for months with a high recurrence rate even after initial improvement of symptoms. 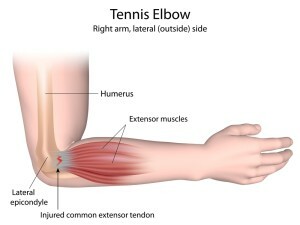 As the name suggests, the pain is located on the outer part of the elbow, and is usually quite painful to the touch. The lower part of the arm has very interesting anatomy. To begin with, the group of muscles on the underside of our forearm, that help with our gripping activities, are much more powerful than the group of muscles on the top part of the forearm. As a result, sports or any daily activities that require a lot of time spent gripping (such as tennis), will force the muscles on top of the forearm to work very hard to counteract the force of the grippers. 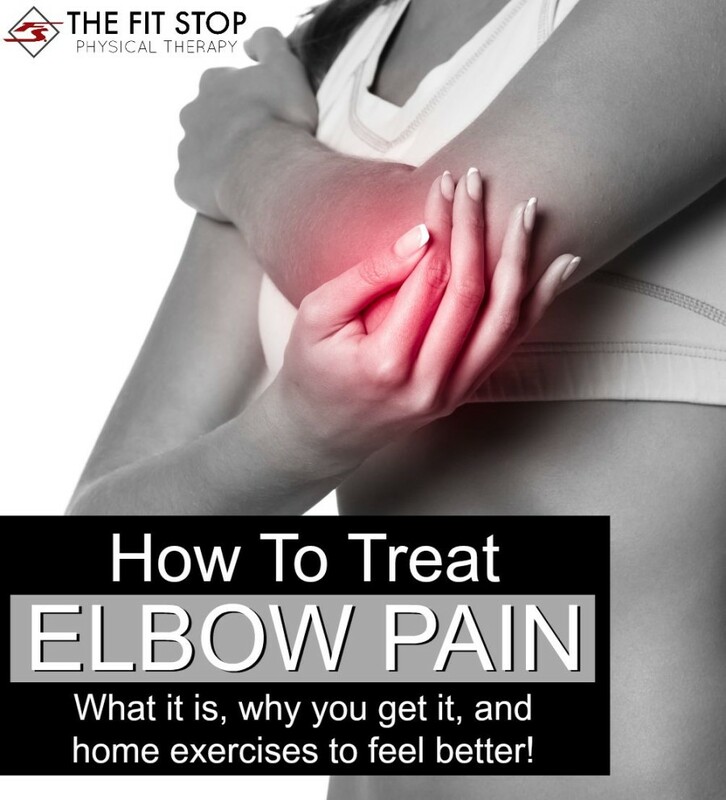 With repetition after repetition, those muscles will get over-used, tired and eventually, inflamed. Inflammation equals pain. Usually, the damage done to the muscles is minor enough that a little rest and ice will kick that inflammation right out of there. However, with prolonged use and more serious injuries, the muscle fibers can tear resulting in the formation of scar tissue. Scar tissue is painful, and it is also weak tissue. That weakness if not addressed, can cause recurring problems for a long, long time. It is at that point that my services as a doctor of physical therapy will come into play. What can PT do for your Tennis Elbow? * Manual therapy – probably the most important part of treatment as most likely that nasty scar tissue will need to be worked out. A variety of approaches may be used depending on the preference of your PT. ASTM (Assisted Soft Tissue Mobilization – massage with tools) or some type of deep massage technique will most likely be used. Though pretty painful, this helps get quicker results. * Strengthening – at the appropriate time, and when pain starts to subside, instruction in very specific exercises will help strengthen up those weak forearm muscles and help prevent annoying recurrences. CLICK HERE TO BE TAKEN TO PART 2 OF THIS POST- THE BEST HOME EXERCISES FOR TENNIS ELBOW!